Indoor pool dehumidification is a tricky business with serious comfort, health, and safety risks. Heat, humidity, and chemicals combine to create complex environments that are hard on buildings and equipment. Yet, user comfort and enjoyment depend on exacting standards and a delicate balance of temperatures and humidity that do not give room for error, equipment malfunction or downtime. That is why Seresco Dehumidifiers exists. 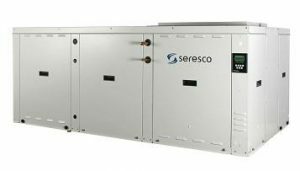 Founded by three of the most respected and experienced authorities in the dehumidifier industry, Seresco provides an end-to-end solution that leaves nothing to chance. Seresco manufactures the most reliable, technologically advanced, and energy-efficient dehumidifiers the industry has ever seen. Seresco also has the broadest product line in the industry to provide exactly what you need, with the options you want. Combine that with exceptional design consulting, installation support, and the revolutionary WebSentry® technology and it becomes easy to understand why Seresco is the #1 choice for discriminating experts. WebSentry® offers 24-7 factory performance monitoring, secure remote troubleshooting capabilities, and email maintenance reminders for the lifetime of your equipment that will provide you with convenience and peace-of-mind like no other. Whether you’re an owner, architect, engineer or contractor, Seresco delivers the expertise and the equipment you can count on, and the value you have been looking for. The very best in classic humidity control systems, the NE series scales from 2 to 16 tons of dehumidification. With three size category groupings, each one provides design innovations and unique features that no other competitor provides in each category. With sizes ranging from 8 to 32 tons of dehumidification, this ingenious innovation provides twice the dehumidification in the same footprint as a regular unit. It also provides the scalable capacity and performance of two complete systems in one. The NP series provides 18 to 140 tons of high-capacity dehumidification. Not just environmentally friendly, the NP series offers superior humidity control and exceptional reliability with as low as 1/6th the traditional refrigerant charge and uses much less expensive PVC piping instead of copper for remote condenser installation. This product line is designed for environments in which humidity can be effectively controlled by ventilation. With ventilation capacities ranging from 6,000 to 60,000 CFM, our NV series enjoys all the technology, quality and design innovations of our NE and NP series, but without any compressors. Seresco made their DOAS units tougher, smaller, more energy-efficient and supremely reliable. On top of that, Seresco added the WebSentry® Technology and gave it one-year labor warranty and two-year parts warranty. Efficient, consistent and controlled heat rejection is the heart of every cooling technology. Seresco has increased heat rejection performance while reducing both the size of the fluid cooler and the energy it consumes. The fluid coolers also use an environmentally friendly water/glycol mixture that delivers premium performance, exceptional energy efficiency and extraordinary life expectancy in a compact economical footprint. Click here to download a product line brochure. To learn more about Seresco, click here.